Custom Vision Service allows classifiers to be exported to run offline. You can embed your exported classifier into an application and run it locally on a device for real-time classification. A Windows or Linux container. The container includes a Tensorflow model and service code to use the Custom Vision Service API. Custom Vision Service only exports compact domains. The models generated by compact domains are optimized for the constraints of real-time classification on mobile devices. Classifiers built with a compact domain may be slightly less accurate than a standard domain with the same amount of training data. For information on improving your classifiers, see the Improving your classifier document. 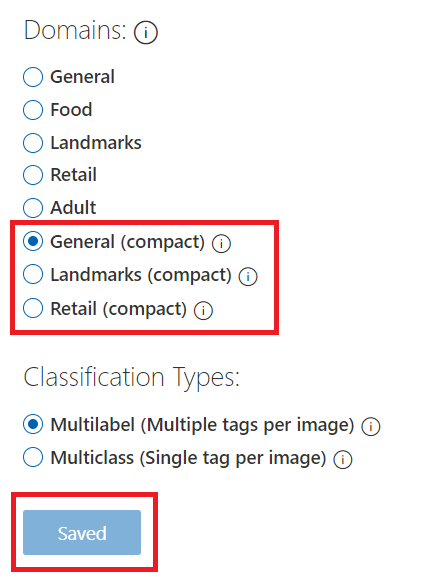 The steps in this section only apply if you have an existing classifier that is not set to compact domain. From the Custom vision page, select the Home icon to view a list of your projects. 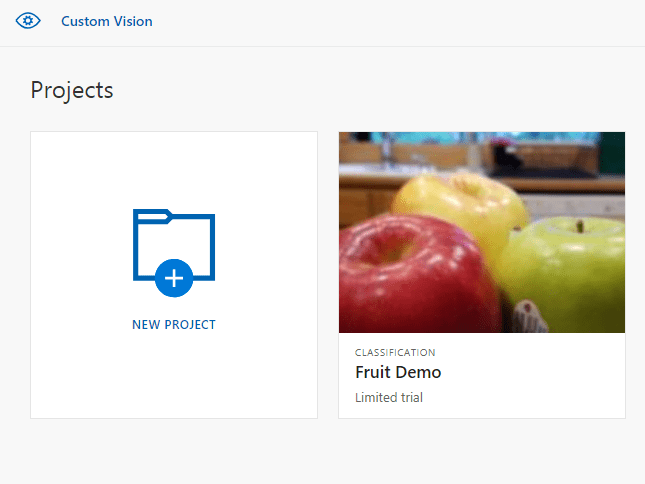 You can also use the https://customvision.ai/projects to see your projects. Select a project, and then select the Gear icon in the upper right of the page. In the Domains section, select a compact domain. Select Save Changes to save the changes. From the top of the page, select Train to retrain using the new domain. Go to the Performance tab and select Export. If the Export entry is not available, then the selected iteration does not use a compact domain. Use the Iterations section of this page to select an iteration that uses a compact domain, and then select Export. Select the export format, and then select Export to download the model.